When Marisa Halley's brother leaves their pack to start one of his own, she's frankly a little jealous. Children might be the last thing Ray wants, but Marisa has recently received confirmation she will never have her own. But as Ray's life rapidly descends into chaos, Marisa cannot do anything but offer her support by moving in with him to help bring up his children. But what's the price of giving everything you have to those you love without thinking of yourself? Irina Lupu is adrift. She's always wanted to travel and far away from her parent's expectations, she thought she could be free. But her new English pack comes with a lot more rules than she assumed, and as a beta with no important relatives, she has very little say in what those are. 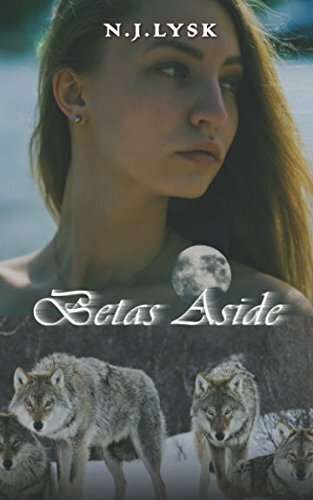 When her cousin asks if she'd like to cross the lake and join his new pack, Irina doesn't hesitate. After all, after crossing the ocean, what's the big deal about having a lake between her and the rest of her family? Marisa is young and ready to change her new pack into her perfect image, Irina is old enough to know that the best she can hope for is to find a place where she mostly fits... But no matter how different they are, they newcomers to a pack recovering from an unimaginable tragedy and about to be struck by lightning for a second time. Can they band together to protect their pack? And can they go through it without seeing a lot more in each other than two women more than a decade apart in age should? This book can be read as a standalone f/f romance, but it contains spoilers for other books in the series. View More In Werewolves & Shifters.